Tampa Electric Co. is adding five prominent Florida business and community leaders to its board of directors, including developer and Tampa Bay Lighting owner Jeff Vinik, former House Speaker Will Weatherford and former Tampa Mayor Pam Iorio. In an announcement Tuesday, TECO parent company Emera Inc., the Nova Scotia-based energy conglomerate, said the new members are as part of a commitment to keeping the company under Florida oversight. 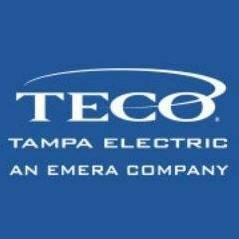 Emera acquired TECO in July 2016. “Emera believes local directors who are community leaders are best-positioned to oversee that our utilities provide the service our customers desire,” the company statement said. Board members guide both TECO and its natural gas utility, TECO Peoples Gas. TECO, one of Florida’s largest investor-owned electric utilities, services about 730,000 electric customers in Hillsborough and parts of Pasco, Pinellas and Polk counties. Peoples Gas System, Florida’s largest natural gas distribution utility, serves about 370,000 customers across Florida. Pat Geraghty, chief executive officer of Jacksonville-based Florida Blue (Florida’s Blue Cross/Blue Shield plan) and its parent company, GuideWell Mutual Holding Corp., where he serves on the board. He is the chair of the Florida Council of 100, a nonprofit group of community leaders who work closely with the governor and other state leaders on economic development issues. He is very involved in the community, serving on the board for MaliVai Washington Youth Foundation, as chair for United Way of Northeast Florida’s board of trustees and as a member of the Jacksonville Civic Council. Iorio is president and chief executive officer of Big Brothers Big Sisters of America. She has spent three decades in public service, including two terms as mayor of Tampa. Rhea Law, chair of the Florida offices of Buchanan Ingersoll and Rooney PA law firm and immediate past chair of the Florida Council of 100. She has held the top leadership positions in many civic and charitable organizations, including the chair of the University of South Florida’s board of trustees. Vinik, owner of the Tampa Bay Lightning (NHL) team. Together with Bill Gates’ Cascade Investment, Vinik is a partner in Strategic Property Partners, a development company embarking on a $3 billion, 10-year redevelopment of southern downtown Tampa. Vinik previously managed the Fidelity Magellan mutual fund and Vinik Asset Management. Weatherford is currently managing partner of Weatherford Partners, a private equity investment and strategic business advisory firm based in Tampa. He served four terms in the Florida House of Representatives, including two years as speaker, when he was the youngest speaker in America. Emera currently holds $21 billion (USD) in assets; 2016 revenues were nearly $3 billion (USD).